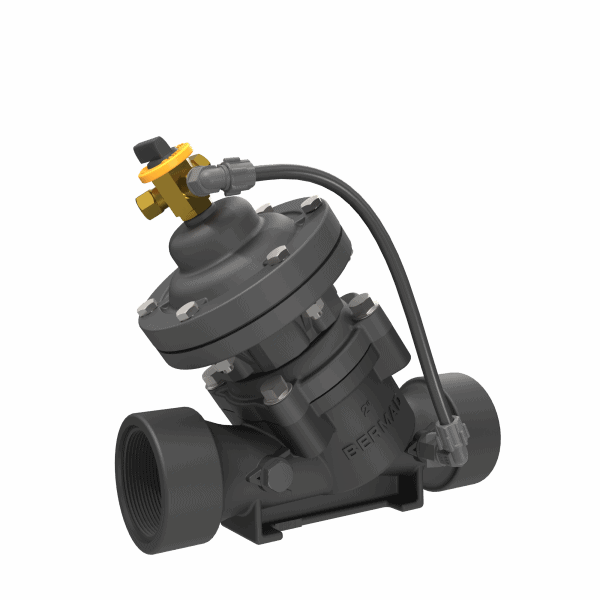 The BERMAD Model IR-100-DC-Z Hydraulic Control Valve is a hydraulically operated, diaphragm actuated control valve that opens and shuts in response to a local or remote pressure command. The valve comprises two major components: the body and the actuator assembly. The actuator assembly is removable from the body as an integralunit. It consists of both upper and lower control chambers, providing Isolated and protected diaphragm. Hֺֺydraulic Control Valve with On/Off feature.